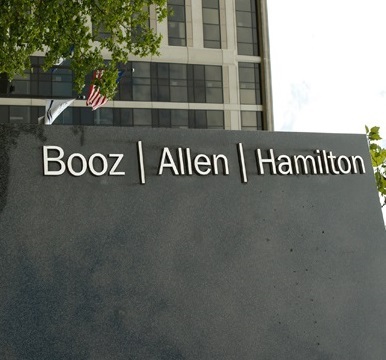 Booz Allen Hamilton was founded in 1914 and coined the term management consulting, in which they pool together different companies to design plans and solutions to macro-economic and security issues. It is with this service that they held a conference in Cairo on Monday. 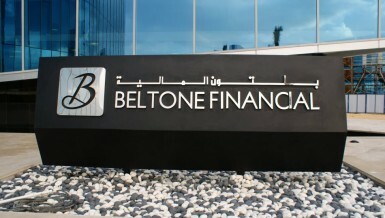 Since their inception they have grown to become a Fortune 500 company, with more than 100 offices across the world, and are involved in a wide range of activities, including health care, energy, defence, cyber security, information communication services, transportation, and financial management totalling more than $5bn in revenue. 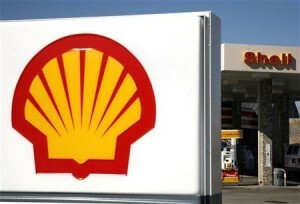 Their clients include the most successful and powerful companies in the world, such as USAID, the Department of Energy, the National Security Agency, the US army, the Department of Defence, Homeland Security, Shell, Chevron, BP Saudi Aramco, Bank of America, HSBC, JP Morgan, Pfizer, Boeing, Siemens, BBC, Google, Apple, and many others across different industries. 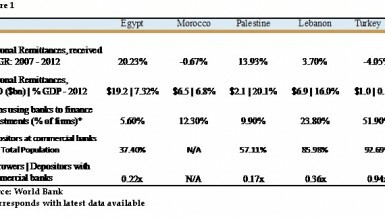 In 2015, the IMF report on Egypt stated: “microeconomic distortions stem from still high subsidies, inefficient labour markets, weak governance, perceived corruption, and constraints to doing business.” As such, Egypt scores low on transparency in policy making. The European Investment Bank Study on PPP legal and financial frameworks found that Egypt has fairly advanced laws concerning PPP; however, general legal framework for procuring infrastructure is fragmented and needs to be simplified to attract investments. These difficulties could be overcome by “strengthening institutional capacity”, which Booz Allen can help direct and manage. Companies also complain of problems when attempting to take the money out of projects quickly and efficiently. 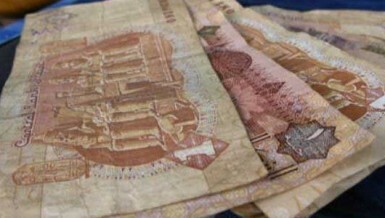 Since 2011, when foreign currency reserves came under increasing pressure, the government limited the transfers of currency abroad and rationed foreign currency by devaluating the Egyptian pound, aimed at relieving the US dollar shortage. In a World Economic Forum “Global Competitiveness Index”, which rates countries based on a number of different sectors such as innovation, the labour market, higher education and training, health and primary education, the only indicator that had growth was the size of the Egyptian market. 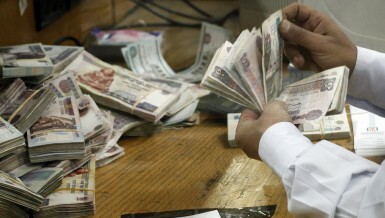 Egypt has previous negative experience with privatisation schemes, which put full ownership of assets into the hands of private sector businesses. Since the 1990s privatisations occurred in a number of sectors, in which the “implementation of these policies resulted in a recession”, according to Nadia Farah, a professor of economics at the American University in Cairo and former head of the UNDP envoy on women’s rights. Between 1997 and 2011, 549 publicly-owned companies were sold to the private sector through various means which totalled $11.2bn in assets and was a point of major contention leading up to the 2011 protests. Daily News Egypt interviewed the regional leaders on past accomplishments in Egypt and the future of Booz Allen. 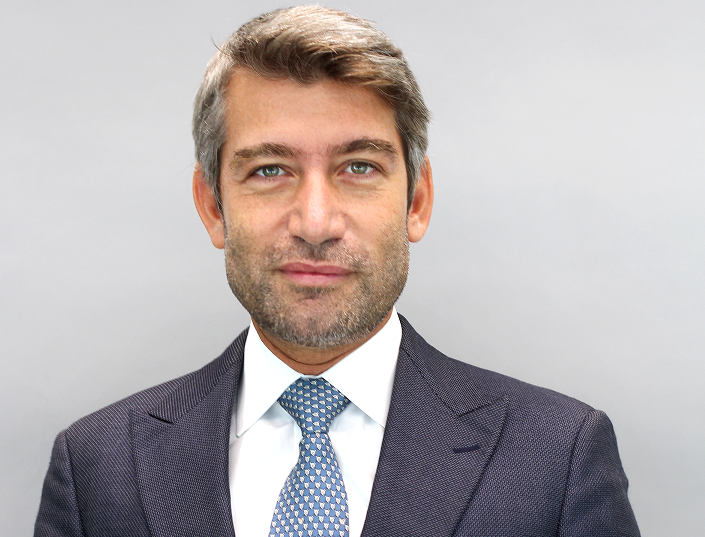 Walid Fayad, executive vice-president in Energy, Chemicals and Utilities serving the Middle East, spoke on the past restructuring and reorganisation of a number of Egyptian companies and organisations that had previously been undertaken by Booz Allen. Walid Fayad: Within Egypt, Booz Allen Hamilton has already been involved in a wide range of management consultancy, including the design of governmental fiscal management and information systems, the establishment of the National Customs Training Institute, the upgrading of the Egyptian Submarine Programme, and Egypt’s F-16s fighter Jets . We also restructured Egypt’s telecommunications sector, deregulated the media sector, and designed the Egyptian Radio and Television Union’s strategy and financial plan. We have organised a plan for domestic security as well as governance and organisational re-design. It is particularly the last three issues which bring them to Egypt as they formulate new strategies for civil defence and economic recovery. Booz Allen Hamilton previously helped design the Saudi and UAE version of the US’ NSA, which accumulates mass data for surveillance and processes the information to highlight potential security risks. 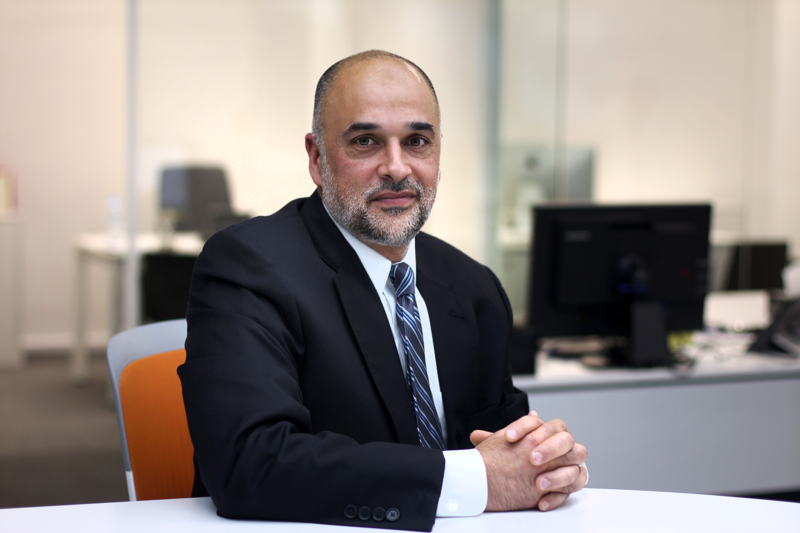 We asked Mahir Nayfeh, senior vice-president at Booz Allen Hamilton and head of Information Telecommunication and Cyber Security, to talk on the company’s experience in the field of cyber security and its plans for the Egyptian government. Mahir Nayfeh: We have recently signed a memorandum of understanding (MOU) with the government on cyber security and an agenda for Egypt’s economic recovery. When asked about the need beyond the obvious political and security needs of a country that increasingly faces terrorism threats, Nayfeh spoke of the importance in a “national strategy to secure financial services and infrastructure” to galvanise the Egyptian economy and FDI. Booz Allen was involved in a global debate on cyber security and transparency when one of their employees, Edward Snowden, released information on the US government’s surveillance of citizens in mass data collection servers while under contract from the NSA. On the issue of the economy, we spoke to Nabih Maroun, executive vice-president and leader of the MENA civil government practice. He specialises in long-range economic planning, large scale infrastructure development and government performance management on Booz Allen’s strategy for economic recovery in Egypt. What are some of the economic indicators and challenges that make Booz Allen Hamilton necessary? Nabih Maroun: Egypt must increasingly rely on private investments, both domestic and foreign, if it is to not only avoid immediate collapse but also propel the country back onto a developmental track. Since Egypt’s political turmoil, private sector investment has fallen from the 2010 high of EGP 15bn to now less than EGP 5bn. The challenge Booz Allen seeks to rectify is mainly the deterioration of infrastructure such as railways which recorded 1,044 accidents in 2014, 30% of Egypt’s roads are in need of repair, and water delivery flaws record a 35% waste in leakage. As well as maintaining the old, Egypt must make room for the new and develop new infrastructure for supporting economic growth. Seeing the challenges that Egypt faces in financing the ambitious development plan of Al-Sisi, what are you doing to help pull Egypt from economic collapse, and your strategy to add value to the Egyptian market? NM: Booz Allen Hamilton sees the solution for developing much-needed infrastructure and regaining investments and job creation in co-operation with the government in Public Private Partnership (PPP) as an alternative to the traditional division and conflict between the two. 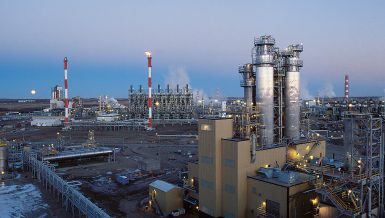 As opposed to traditional public enterprises in which the government plans and manage each phase of a project, finances it, and assumes all the risk, models for PPP share risks and rewards and delegate phases to a consortium of public and private sector companies, payment is delayed until the asset is completed, thus creating a shared risk and benefit with the private sector by bringing them in on profits when the company is successful as well as tying their interests to the future success of the business. What projects have you already accomplished and what is in the future for PPP in Egypt? NM: Twelve new projects were announced that would set the international bidding for PPPs in 2016, which included a wastewater treatment plant in New Cairo and in Abu Rawash, two specialised university hospitals, and a blood bank. Currently tendering projects are the Cairo Contact Centre Park Project in Maadi, reform in the commercial registry office, and the notarisation office which has historically legendary inefficacies and prevented entrepreneurs from easily setting up businesses. 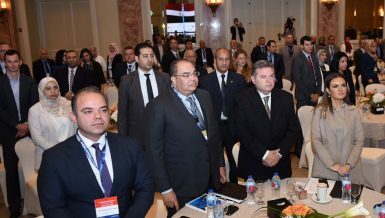 Projects still under feasibility studies include the seawater desalination plant in Al-Alamein, El-Tor, and Safaga, as well as a Nile River bus ferry, an industrial port in Safaga and the Alexandria wastewater treatment plants as well as other river transport projects set to begin in the near future. What problems exist in the Egyptian economy that prevent it from taking full advantage of Booz Allen’s PPP strategy? NM: Currently there exists some barriers in the implementation of PPP projects here in Egypt, such as government inefficiency and excessive bureaucracy, currency instability, and a negative perception of Egypt’s labour market. Issues in governance include overbooking of experts, lengthy enforcement process, low technical and educational qualification of workers, complicated paperwork process, and inconsistencies of cost and time in different ports.